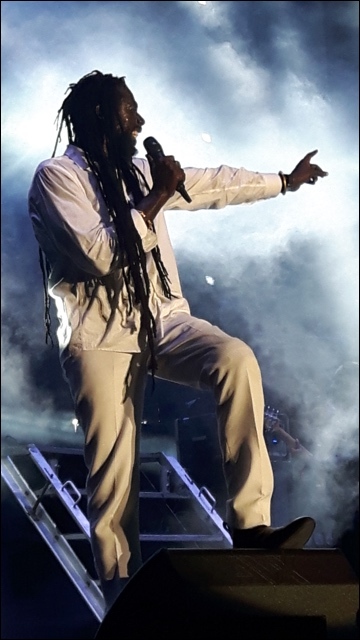 Black Star Foundation was present at the very first show of The Long Walk to Freedom Tour by Buju Banton, which took place at the National Stadium in Kingston (Jamaica) on Saturday 16 March 2019! The whole of Jamaica was exited. 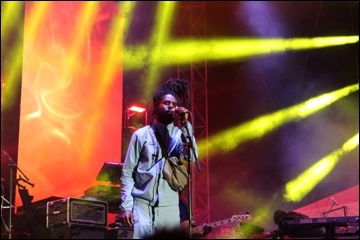 This show was gonna be special moment in Jamaican music history. Buju Banton (born on 15 July 1973 as Mark Anthony Myrie) is one of the biggest reggae/dancehall stars of Jamaica. He was especially known in the 90-ties, when he also released his album 'Til Shiloh (1995). In December 2009 Buju Banton gets locked up in the US because of a cocaine deal. 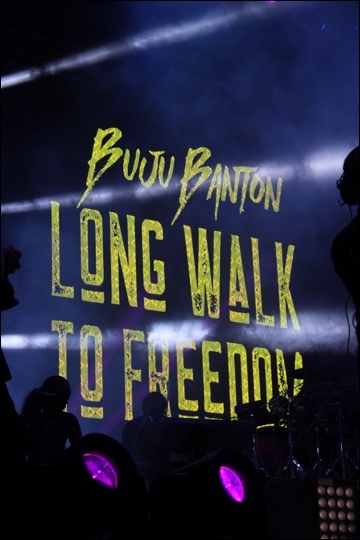 In December 2018 he was released and March 2019 he started his Long Walk to Freedom Tour in his hometown Kingston. Black Star Foundation was there! Our wristbands for the show in Kingston (Jamaica)! 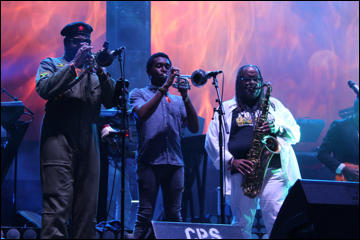 Cocoa Tea was also there and brought, just like the year before at Rebel Salute Festival, special guest Koffee with him! Time is passing and positive vibrations in the air.. Agent Sasco live on stage! Then there is a change over for Buju's band... The whole program is passing by smooth and easy. 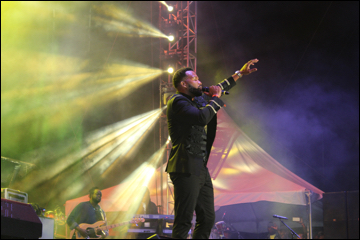 Very special for a show in Jamaica! Too bad his zijn microphone didn't work at the 3rd song, but fortunately they fixed that technical problem soon. It was a great show of more than 90 minutes with lots of hit tunes, like 'Not an Easy Road', 'Destiny', 'Hills and Valleys', 'Til I'm Laid to Rest', 'Murderer', and many more! We did notice that the artist did not lay any new tunes, after 9 years of prison..? However, from reliable sources I have been informed that there is already a lot of material of Buju, ready to be released for the next number of albums. We are looking forward to that! 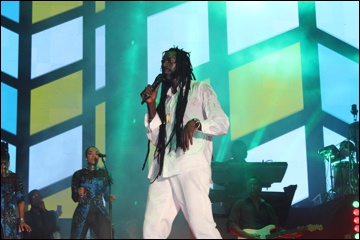 Buju Banton brought a few surprise guests, like Marcia Griffiths, Beres Hammond, Gramps Morgan and Wayne Wonder! 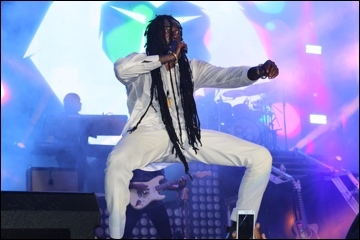 Buju Banton with Gramps Morgan (Morgan Heritage) live on stage! 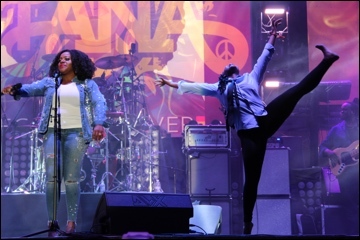 Buju Banton with Marcia Griffiths live on stage! Rock Away met Beres Hammond! 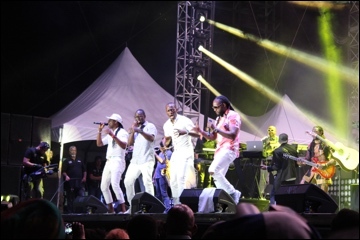 Buju Banton and Beres Hammond live on stage @ National Stadium in Kingston (Jamaica)! Another special guest: Wayne Wonder! 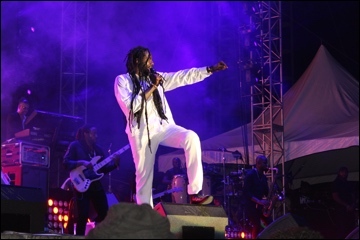 Buju Banton and Wayne Wonder @ National Stadium in Kingston (Jamaica)! It was truly amazing to be present!